We take direction and inspiration from a group of experienced and talented cultural champions. Culture24’s reputation and network is very strong in the digital, technology and media sectors, as is our diverse board of 8 trustees. Many have direct links into many of the top companies within these rapidly growing industries, as well as in-depth financial, business and cultural sector experience. Anna Rafferty (Chair) is Global Director: Digital Marketing for BBC Studios. Until 2016 she was Director of Product, Creative & Content at J.K. Rowling’s Pottermore and prior to that ran digital marketing, publishing and innovation at Penguin Books. Anna is on BAFTA’s Children’s Committee and Young Games Designer steering group and is a Fellow of the Royal Society of Arts. Hasan Bakhshi is Executive Director, Creative Economy and Data Analytics at NESTA, where he leads creative industries, digital policy and research. Prior to NESTA, he worked as Executive Director and Senior International Economist at Lehman Brothers, as Deputy Chief Economist at the Foreign and Commonwealth Office and 8 years’ as an economist at the Bank of England. Lianre Robinson is Client Services Director at LADbible Group, which using all major platforms, has rapidly risen to become one of the most prominent social video publishers. She is also a mentor on the SheSays mentoring programme Who’s Your Momma. Lianre was previously a director at Livity, a youth-led creative network specialising in involving the target audience in campaign, content and creative development. Catherine Flynn is Global Head of Marketing for Workplace by Facebook, which helps to change the way companies communicate and collaborate. 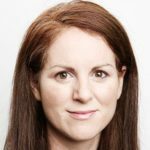 Catherine began as Facebook’s manager of Global Marketing Solutions in January 2012, helping key advertisers, media and creative agencies to drive business results on Facebook and Instagram. Owen Valentine Pringle is a senior digital strategist with 20+ years experience and having been the functional lead for digital at ITN, Sky, Southbank Centre and Amnesty International. He serves on advisory panels for Business in the Community and the events arm of Daily Mail & General Trust, is a Faculty Member of the V&A’s Innovative Leadership Programme and a Fellow of the Royal Society of Arts. Eddie Berg is Chief Executive of Rich Mix, east London’s independent arts centre. From 2005 -2014 he was Director of BFI Southbank and Director of Partnerships. He is the Founder and former Director of Liverpool’s £11m FACT Centre. He was on the curatorial team for the 2002 Liverpool Biennial; a judge for the 2004 Paul Hamlyn Awards for Artists. Yvonne Hardman is Head of Collections and Programmes at Leeds Museums and Galleries, the largest local authority-run museum service in the country, running nine museums across the city. Prior to this she worked in the North West, most recently as the art curator at Touchstones Rochdale for over ten years. 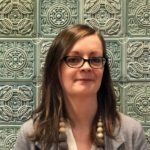 Yvonne has previously been a director at Manchester Craft and Design Centre and an artistic assessor for Arts Council England. Philip Shepherd has worked as a strategic adviser in the media and entertainment sector for over 20 years. 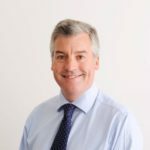 He was a Partner in PwC’s Media, Hospitality & Leisure practice in the UK and Middle East and has worked with many public and private sector organisations to advise on financing growth and digital transformation. Anouska Spiers is COO and General Counsel for Marv Studios, Matthew Vaughn and Claudia Schiffer’s film production and brand licensing business. Prior to joining Marv in 2018, she was a partner at The Blair Partnership, J.K. Rowling’s literary agency and a director of J.K. Rowling’s Pottermore. Anouska originally trained as solicitor in the commercial team at Olswang LLP. She is a mentor on the Next Generation Counsel scheme, which supports the career development of women in-house counsel. 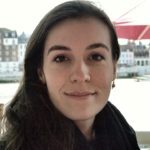 Stella Toonen is a PhD student based both at Tate Modern and King’s College London, researching the Tate Exchange programme and the concept of co-creation between museums and communities. She is also a freelance arts producer with expertise working in museums, and organising participatory events, learning programmes, exhibitions and installations. She sits on the board of Young People in the Arts as an adviser, having stepped down as one of its executive directors in 2018. Rob Yates has worked in fundraising for more than 15 years. He has worked at the Royal Botanic Gardens, Kew and the Royal Pavilion & Museums in Brighton, where he helped establish a successful fundraising programme. He is a Development Manager at University of Sussex.